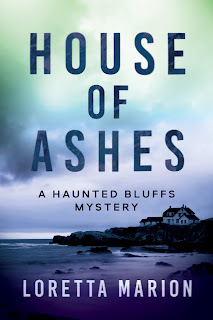 Welcome to my stop on the book blast for the paranormal mystery novel House of Ashes by Loretta Marion. This book blast was organized by Goddess Fish Promotions. On my stop, I have an excerpt for you. There's also a giveaway at the bottom of this post. You can view the other stops here. Happy reading! Loretta Marion will be awarding a $50 Amazon or Barnes & Noble gift card to a randomly drawn winner via Rafflecopter after the tour. Be sure to follow the rest of the tour here, and comment on a different stop each day to increase your chances of winning. Good luck! Thank you for featuring HOUSE OF ASHES during release week, Heather! 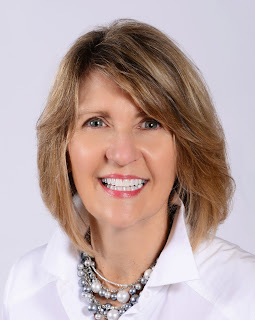 The Goddess Fish Book Blast tour has been lots of fun and I've enjoyed connecting with readers. I will be checking back later in the day to answer questions. Great question, Darlene - thank you! There are kernels for ideas everywhere. Whenever I see something intriguing, I jot it down in one of my many notebooks. These become the source for many story ideas. Plus, I have a very active imagination, which comes in handy when writing fiction! Thank you to everyone who stopped by on this tour stop. I appreciate the interest! Thanks for the chance. This book sounds really interesting...and I do like the cover. The book sounds interesting, thanks. Nice book cover too. I have loved seeing all the lovely comments! Thank you so much for a great stop on the book tour! HAPPY READING! I like the cover! It sounds like a really good book. I shared this and reviewed it. I loved it. I saw it, Sherry! I so appreciate your lovely words about HOUSE OF ASHES. Positive reviews are extremely helpful in getting a book noticed and I can't thank you enough! Where in Rhode Island? Charleston is a beautiful city! And much warmer. Thank you so much for the sweet comment. It makes my day to read this! Twenty minutes away! Happy Thanksgiving! I've always enjoyed creating with words, going back to childhood. It was the writing aspect that I enjoyed most throughout my career. However, writing a novel wasn't something I tackled - or even knew I wanted to do - until I was well into adulthood.